Winter months spike up our hunger pangs. We are constantly battling the cold by munching on a steaming cup of our favourite food. Besides satisfying your cravings, it’s necessary for you to keep your body warm throughout this cold season. 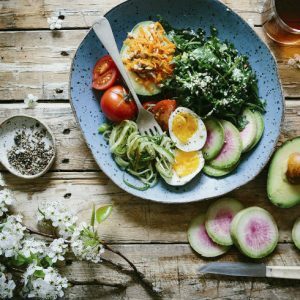 Here is a list of healthy delicacies from our very own motherland, which is sure to warm your soul and be a treat to your tummy. 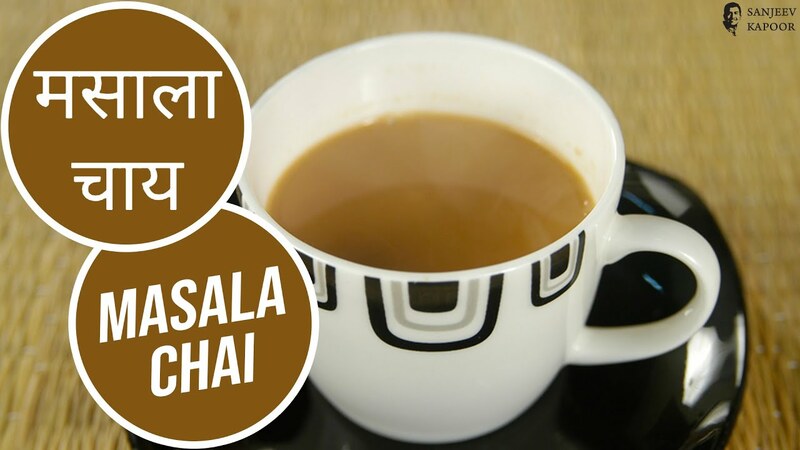 Masala chai also known as spiced tea, is a healthier variation of the good old tea. It has the goodness of our very own Indian spices like cardamom, cinnamon, pepper, ginger and tulsi. The spices infused in a strong cup of tea keeps you warm, relieves you from cold, sore throat, headaches, sinusitis and migraines. 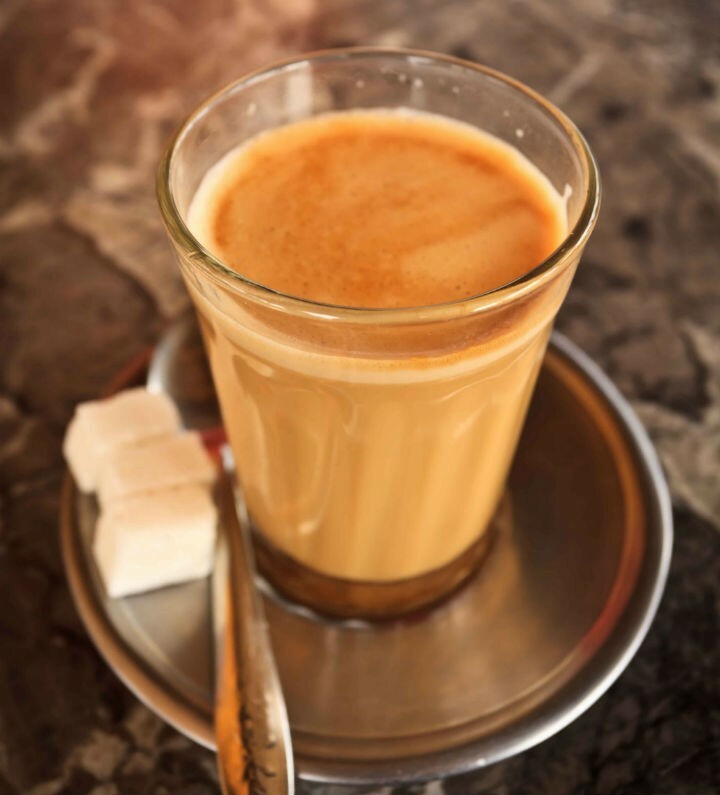 Downing a cup of masala chai is an ideal way to kick-start your day and stay awake throughout. 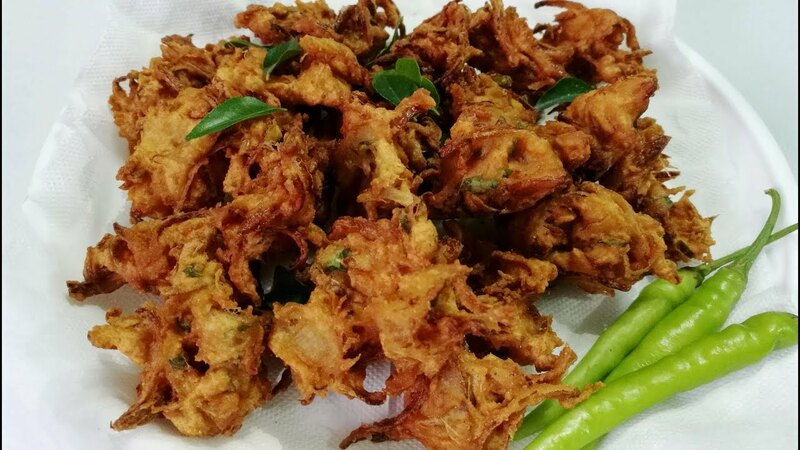 One cannot miss onion pakoras during the cold months. 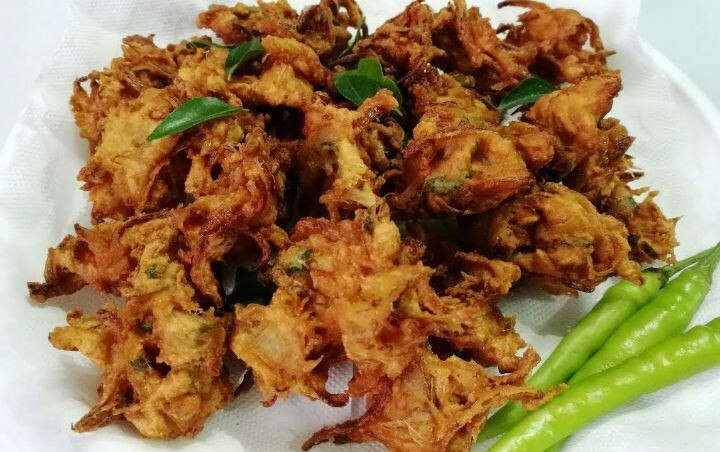 These onion fritters made with onions dipped into a thick batter of rice and gram flour, sprinkled with salt and spices is an ideal accompaniment with a sizzling cup of tea. A bite of this crunchy pakora and a sip of tea is a fulfilling snack combo during the winter evenings. When it gets very cold outside and you are struggling to get out of the blanket you are wrapped in; a bowl of soup comes to your rescue as it instantly warms your body. 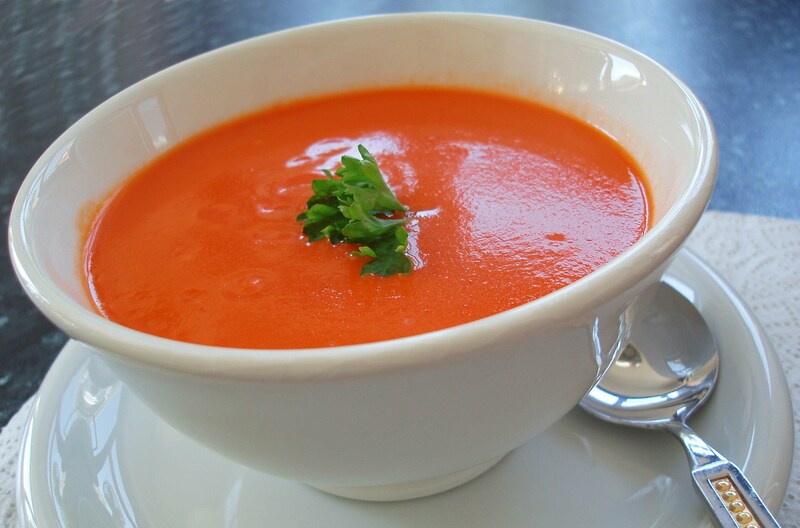 Tomato soup is an easy, healthy and tasty form of heaven in a bowl. The tanginess of tomatoes and hotness of the spices can be enjoyed as a starter, before a wholesome meal or as a snack with toast or a salad. Kashmiri pulao is a northern Indian rice variety from the cold lands of Kashmir. It is necessary to take healthy fats during the winter season to give you the necessary warmth to fight the cold. 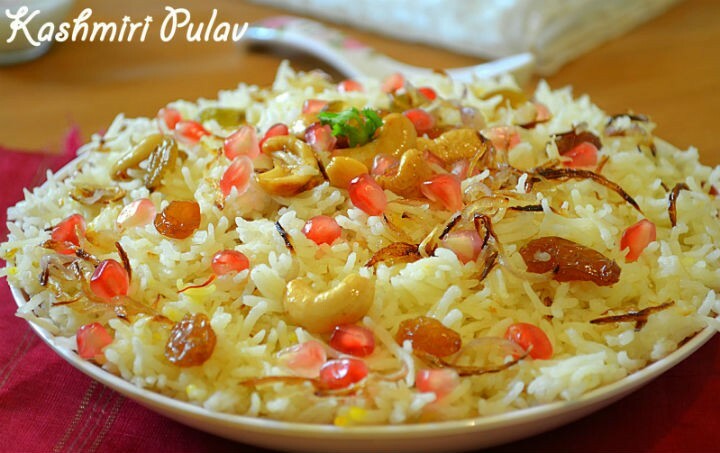 This pulao is slightly different as it is on the sweeter side. 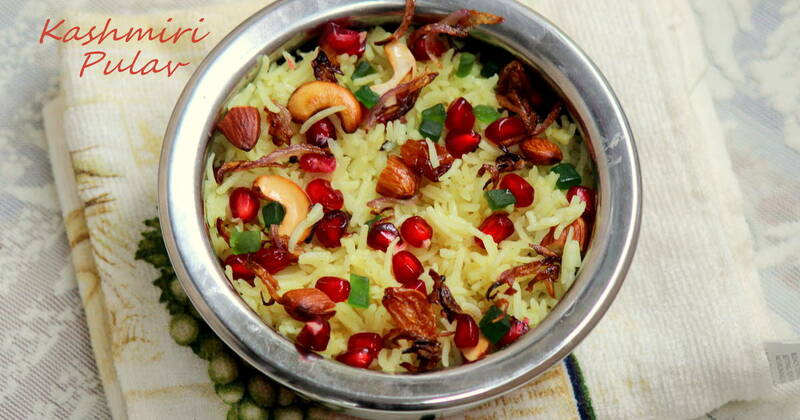 It is cooked with long grain basmati rice, along with the Indian spices and crunchy dry fruits and nuts like raisins, almonds, walnuts and pistachios. Loaded with nutrients, this pulao is a great sumptuous lunch or dinner option; as it satiates your hunger and keeps you full for a long time. 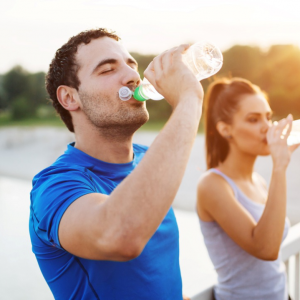 The cold and wet climate can take toll on your health. Cold, cough and fever is pretty common during this season. Moong dal Khichdi is the best thing you can have when you are sick. Cooked with rice and split green gram, the dish is light on your stomach. 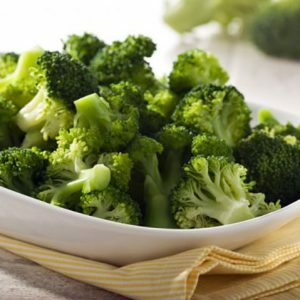 It is easily digestible, has excellent healing properties and boosts your energy when you are exhausted. 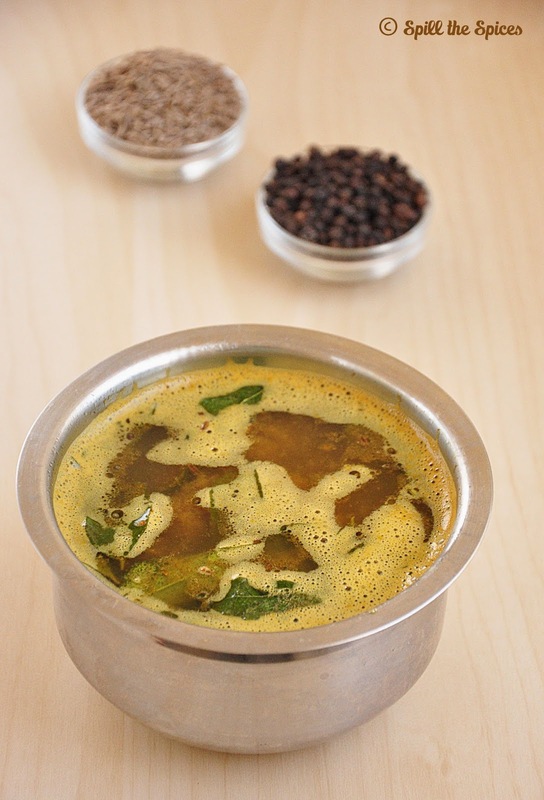 This rasam is a south Indian soup cooked with tamarind juice, chopped tomatoes, freshly crushed cumin seeds and peppercorns. 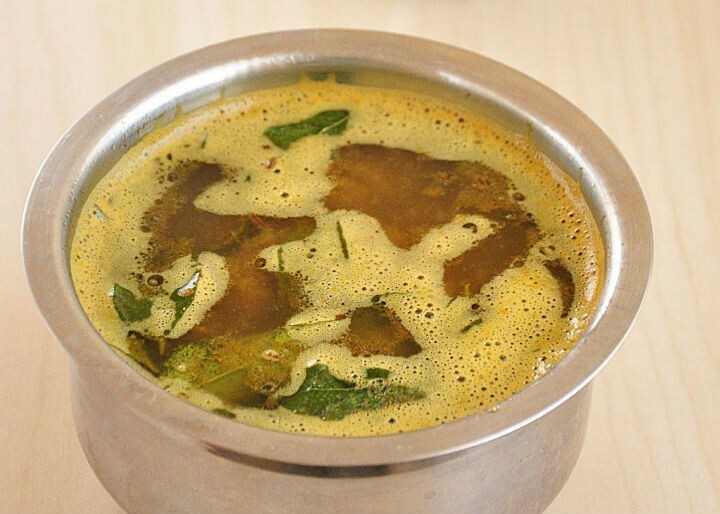 This is a tangy, spicy rasam that can be made in a jiffy. A ladle full of hot rasam mixed with white rice is a sizzling afternoon meal that can make you sweat even during the coldest weather. 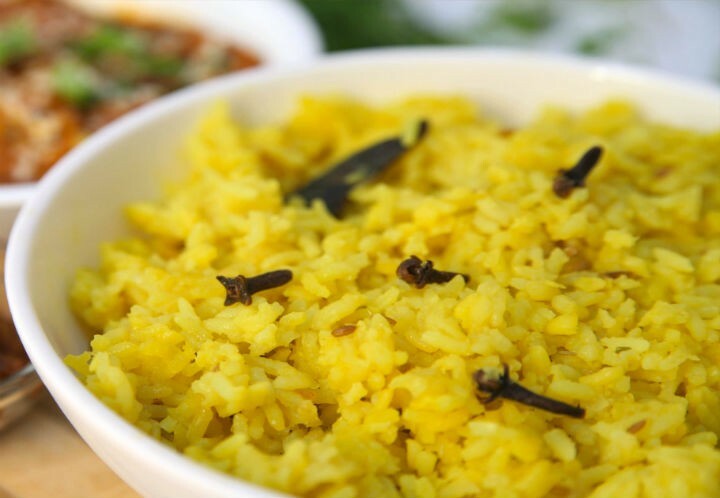 You can have the rasam rice with crunchy papad or a curry of your choice. 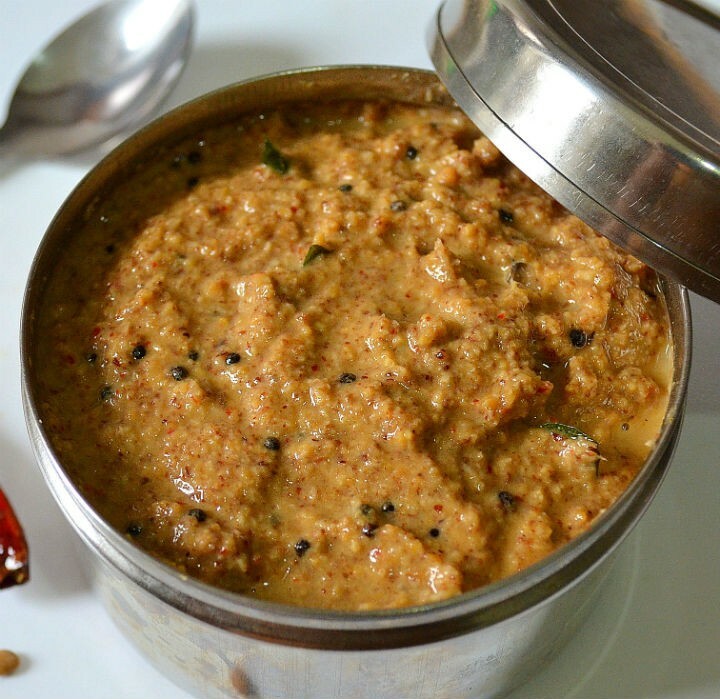 Kollu thuvaiyal is a South Indian chutney made with horse gram. Horse gram is rich in fibre and is known to spike up your body heat. 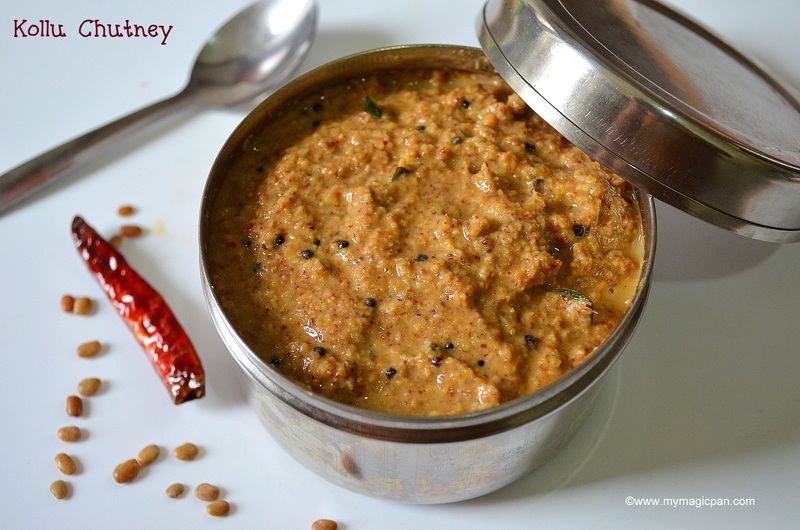 This spicy, nutty flavoured chutney enriched with south Indian spices is a perfect accompaniment for idlis and dosas. It can also be mixed with white rice and a drizzle of gingely oil. 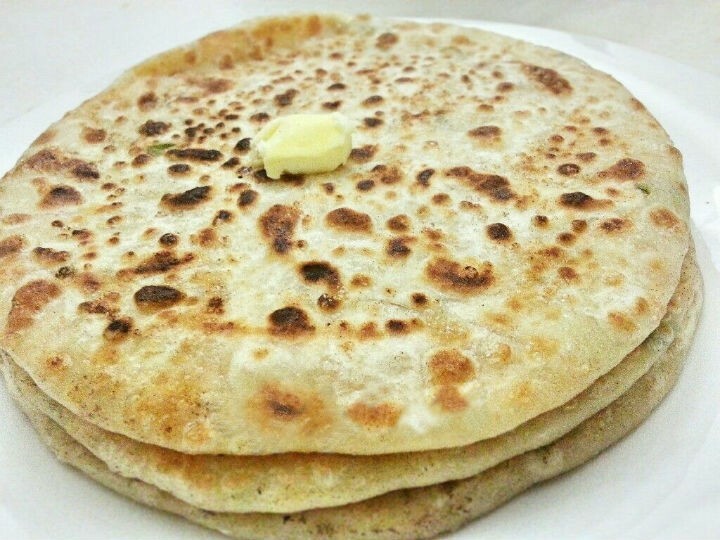 Aloo paratha is one of the most popular Indian breads made with wheat flour, stuffed with mashed potatoes and cooked with generous amount of butter. The fibre in wheat and healthy fats from potatoes keep you warm and full. The goodness of butter keeps your skin from drying out in the winter. This favourite breakfast for many is usually served with pickle, raitha, butter or curd. 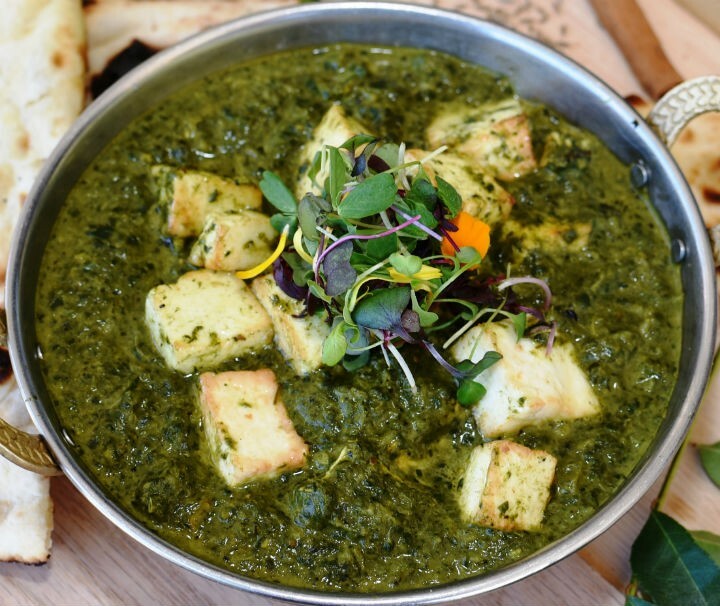 This gravy is made of cottage cheese cooked in pureed spinach leaves. This is a healthy accompaniment for Indian breads that is rich in protein and iron. The chewy cottage cheese floating on the flavourful spinach sauce makes even the people who dislike spinach fall in love with this dish. Sweets are a must-have in the Indian household. What’s more comforting than a hot bowl of sweet with the goodness of carrots on a cold evening? 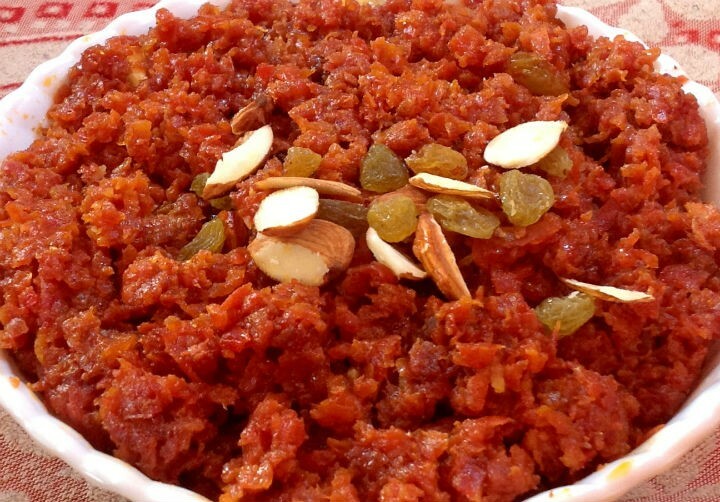 This Indian dessert is made of carrots cooked in milk, sugar and topped with cashews. 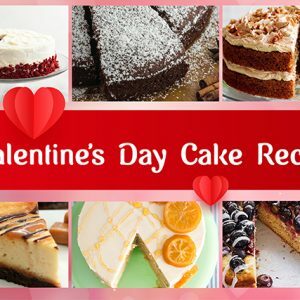 This colourful, tasteful dessert adds flavour and colour to your grey winter days. 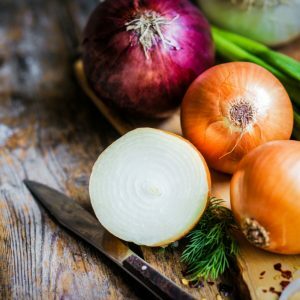 Feel free to comment or share your thoughts on this "10 Popular Indian Recipes This Winter" article from Awesome Cuisine.